What’s the Traffic Like in Antalya City? Tram from the city center of Antalya to the bus terminal “Otogar” was pretty quick and we got there in just about twenty minutes. Antalya is notorious for its number of traffic lights, so when you’re driving you find yourself get stuck at the lights pretty frequently. I didn’t feel that to be the case for the tram line that comes from the international airport into the city, then to the main terminal that is located several km north of the city. Can You Get Bus Tickets Online in Turkey? The total journey took about three hours and we only had one pause at one of the mountain towns on the road. The drive was quite pretty, again with changing sceneries as you drive, as it often is the case for Turkey. It was really cold but the air felt very fresh up in the mountains, where we stopped and the landscape is relatively barren around there. We passed through Korkuteli and Söğüt, then I think we stopped at Bekçiler. 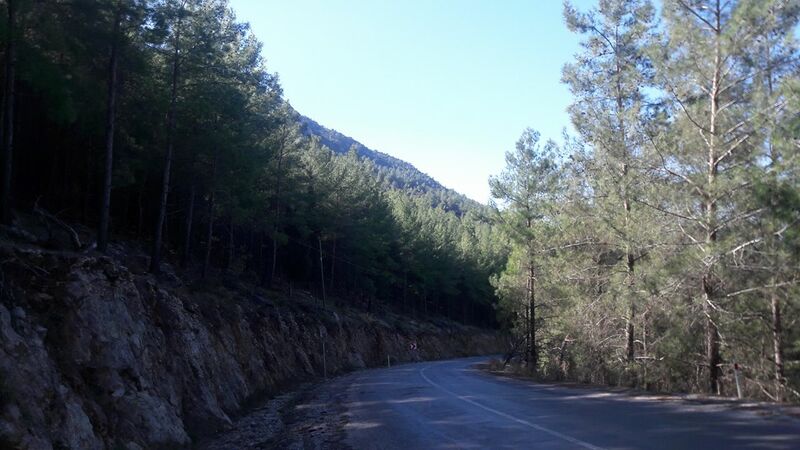 Then the super pretty mountain and forest sceneries started appearing around 50km before Fethiye. You just look around you and can not get enough of how beautiful everything looks. Then as we approach the Fethiye outskirts, I realized how much the town has grown. 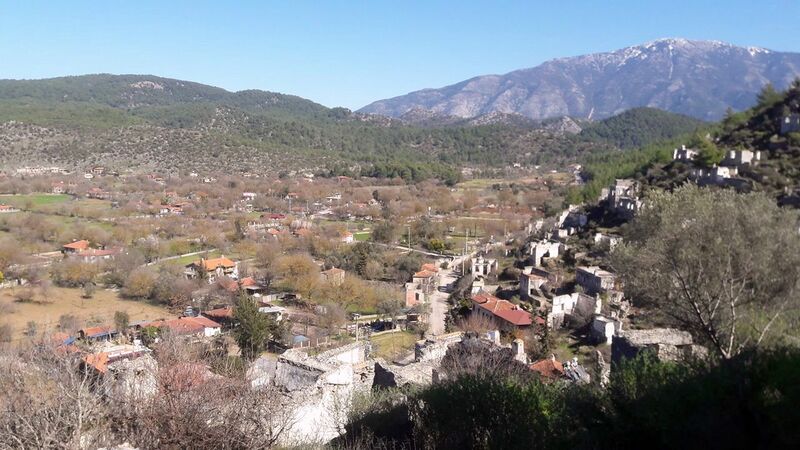 I visited it town about twenty years ago and was only a small town with a crappy waterfront and you would take the minibus to Calis Beach, which was quite a separate location to Fethiye town center. Now it looks like a rather big place with a population of more than 100,000 at the moment and the Fethiye district has more than double that number. 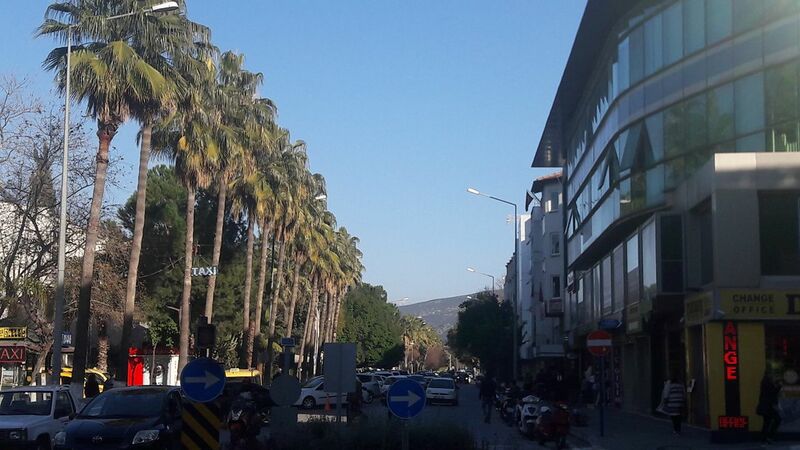 It has a lot of modern 1 to 4-floor buildings with their own architectural style that is also kind of specific to both Fethiye and the larger Mugla area. Is Fethiye Modern or Islamic? As compared to other Turkish resorts in the region, though, Fethiye has this traditional feel with more village type people or women in traditional Muslim outfits. I find this actually to be quite nice and interesting and is something you would rarely see in the more western resorts of Bodrum, Kusadasi or Marmaris. So yes Fethiye does have an eastern feel and perhaps slightly more conservative population too. But this is really nothing that would bother a Westerner or a secular thinking Turk. 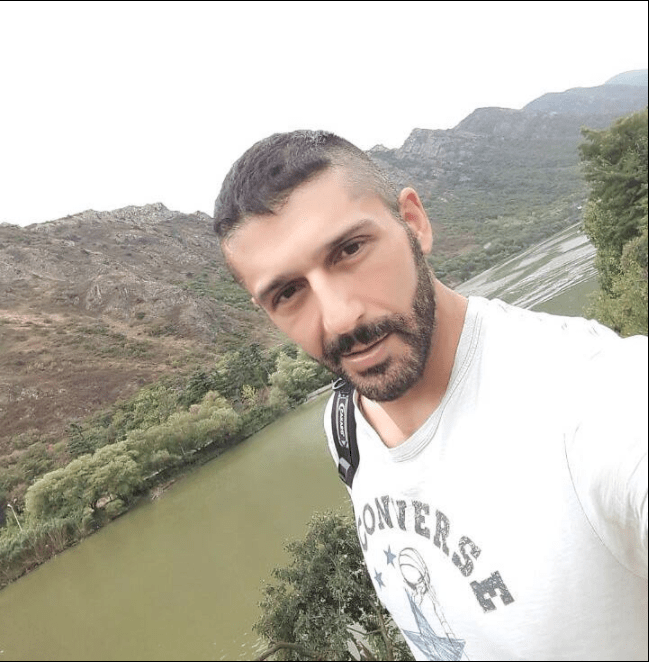 This is not one of the traditional central Anatolian towns but a massive resort with the spectacular beauty of the landscapes and history around it. There is actually a large expat population here too, mainly British people that are retired or work online type of people. Antalya caters to more Russian these days with some German, now the Germans are more in the Alanya area, whereas Fethiye District is more for British tourists and expats. I had a hotel booking for three nights here so I had to make the best of it. 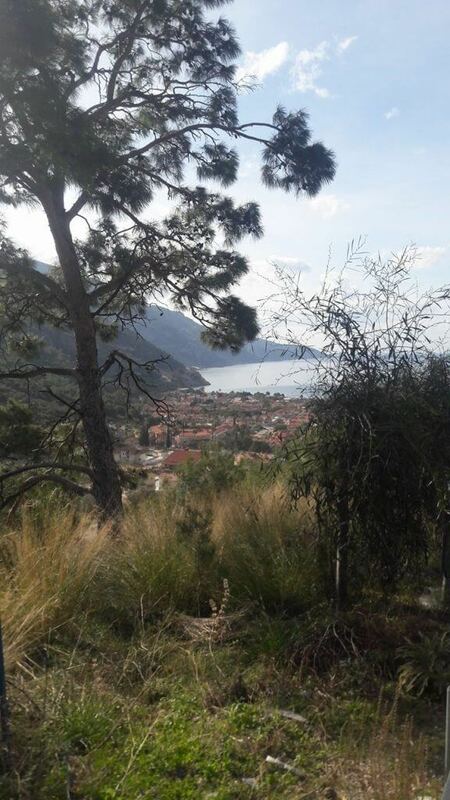 And my hotel was located in the Hisarönü / Ovacik area of Oludeniz, which is a few km up the hill from Fethiye town center. We got to the bus terminal and I just walked to the back of the building to wait for Oludeniz minibusses to get to my hotel. First I was thinking of checking out the promenade and town center without realizing how big Fethiye became so it was more like two to three km away. So I thought I just come back the next day and took the minibus to Ovacik in Oludeniz and the journey took about fifteen minutes and it cost 3.75 liras (a bit more than a dollar). You can pay when you’re on the bus and you do not need a city pass or anything, you just tell the driver where you’re going when you get on. I got off the bus, it looked quite pretty in Ovacik and seemed quiet on the streets but there were some locals living there too. I walked to my hotel (Happy Nur Hotel) and checked in. There was hardly anyone else in the hotel and there was some construction work going on, preparing it for the season starting in April / May.